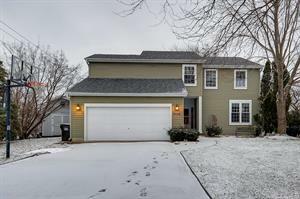 Gorgeous 2 Story Home, 3 Bedrooms, Plus Loft, 2.1 Baths, Backs up to Open Area and North Oak Neighborhood Playground. Inviting Family Room with Vaulted Ceiling and Skylights. Mainly Hardwood Floors throughout Main Level, Beautiful Kitchen & Large Eating Area. Full Master Bath with Tub & Dual Sinks. Dining Room leads to 3 Season Room, Large Deck and Private Yard. Relax on the Deck and enjoy views of Nature! Walking Distance to Shopping, Restaurants and The Chain O'Lakes. Available NOW!!!!!. 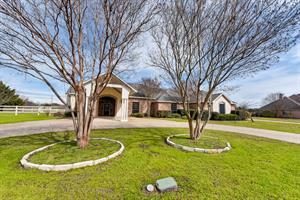 Very large and classy 5 bedroom, 5 full bathroom estate located in the prestigious gated community "The Estates" in Lancaster. Large and open formal living room and dining room. There is a bedroom on the first level with its own full bathroom! The modern remodeled gourmet kitchen has granite countertops, a large granite center island with a breakfast bar, stainless steel appliances including two convection ovens, a five burner gas stove, built in microwave and an abundance of elegant cabinetry. Grand staircase to the second level takes you to the very spacious master suite, master bathroom with double sinks, huge walk in closet, tub and shower. Comes with a 4 car tandem garage! Take a tour of this must see home! Contact our leasing agent for more information! Make yourself at home in this luxurious 3 bedroom, 3 bath, 2,900 sq. ft. home in St. Leonard that has everything you've been dreaming of! This is the house for you! Calvert county school zone. Custom Spanish home Lots of upgrades including a composite terracotta roof, heated tile floors in kitchen and all bathrooms, 9" exterior concrete walls, 3 car garage, fully finished basement. A Chef's kitchen with large breakfast bar and island. Schedule your showing today! Pristine condition inside and out. 4BR, new windows, new hardwood flooring, new concrete board siding, new paint in & out and a beautiful new driveway. This home has immaculate living space plus an unfinished storage or project area, a level, shaded lot with an over-sized deck and a fenced backyard. 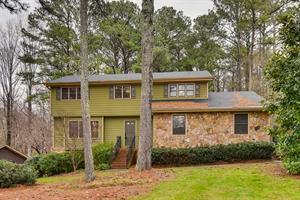 This is an ideal home for a large family in Honey Creek. Swim, golf, tennis in neighborhood. 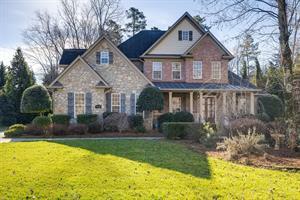 Wonderful 4 bed, 3.5 baths, 2,998 sq. ft. home in Heath, TX! Spacious living room area with elegant dining room. Amazing kitchen with granite counter tops and breakfast area. Beautiful master suite features dual sinks, cozy tub and walk-in shower. Huge secondary rooms. Schedule your showing today! 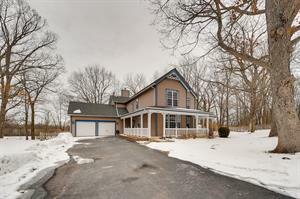 Charming home in desirable Summerlyn community. Beautiful mixed stone exterior, granite countertops, pedestal sink, designer paint, upgraded light fixtures, large backyard with covered patio and fire pit. Home is spacious and inviting. Large open kitchen, Large master bedroom downstairs with updated master shower. Grand 5 bed, 4 bath, 4297 sq. ft. home in Heath, TX! Open and spacious floor plan. Beautiful layout. Magnificent island kitchen with an abundance of cabinets and plenty of counter space. Formal dining area and second living area. Lovely living room with cozy fireplace and backyard views. Amazing master suite features dual sinks, luxurious tub and walk in shower. Over-sized game room up. Backyard oasis features covered patio and sparkling pool! Be sure to schedule your showing and make this your next home today! Gurnee School District!! This home is a must to see! Wonderful layout with all spacious rooms! Beautiful family room & Kitchen! Lovely hardwood flooring in Family Room and Foyer area! Very tranquil setting with wrap around porch on the largest lot in subdivision! Five spacious bedrooms! Master bedroom has his/hers closets plus luxury bathroom with luxurious tub, separate shower and double sinks! Basement features own private full bath! Brick patio! Located in a quiet cul-de-sac lot! Private park located in neighborhood! Schedule your showing today!